You have a new baby coming and it’s getting closer and closer to the big day. If it’s your first child, you are pretty much bonkers crazy with trying to prepare mentally, as well as get the house in order. If this is not your first rodeo, it’s still a daunting task without a doubt. Getting everything ready for the big day and for the arrival of your little addition doesn’t have to be completely overwhelming. Here are 8 things to remember before bringing your new baby home. You won’t be sleeping much any time soon. And that’s ok. Yes, the first few weeks or months can be a very trying time. 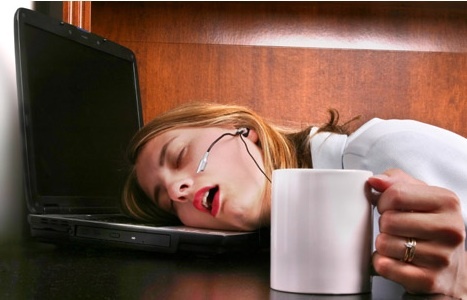 You can prep all you want and “sleep as much as you can” prior to the big day, but there’s not much to prepare you for the sleep deprivation that will ensue. Just deal with it as best as you can and if you are home try to nap when the baby naps. Drink tons of caffeine and enjoy the ride. It may seem like a lifetime, but it passes, quickly enough, so try your best to not freak out too much. Oh yeah..let the nurses take the baby when you are in the hospital. It’s your last grasp at normalcy for a while! We all love the idea of having the perfect nursery. It looks wonderful in the magazines, it feels fantastic when you are liking some amazing pins, and we all love the idea of having the perfect place for your little one to sleep and play. I love it all. No matter what it is you are planning to do, be as realistic as you can be and get it all done with weeks to go before the baby is to arrive. There’s no time like the present and this can’t be more true in this case. Yes, it seems like you have all of those 40 weeks to get it done, but time flies, things happen, life is tricky. You don’t want to be caught off guard, or, if you’re like me, stuck with bedrest, hospitals, and babies coming 3 weeks early. Just do it now. Even if it just sits there. It’s ok. You want it to be done the way you want it to be done. Don’t complicate your life further. The baby will do all of that on his or her own. This is something you should splurge on. Pick out the best you can afford, even if it seems excessive. It’s such a wonderful piece of mind, you don’t know. What’s more important than the baby’s safety…nothing. What’s second to that…your sanity. Do me a favor, if it has cameras, multiple handsets, even wi-fi link-up, just do it. You will feel so much better. Trust me, you won’t want to let it go. You will use this way past the point that you really need to. The baby has bumpers and a security blanket. This is yours. This may seem like something that’s excessive, quaint, and even outmoded…but it’s not. Depending on how you and your little one operate, it could be your saving grace. Natalie was super colicky and she would be up all night. The one thing that relaxed her and kept me comfortable through it all was the chair. Sure it can seem big and maybe out of place, but it works and it’s fantastic. I would think that pretty every baby likes this type of motion and the chair makes it all smoother and easier than you could do while standing up. It’s MUCH easier when you are feeding your little one, too. Sure, you might not be getting that muscle-ripping workout this way, but I think you’ll be happier. Bill got so attached, he doesn’t want to give it up! No, it’s not always perfect. Yes, you have every intention to make it perfect. Do your best and you’ll thank yourself later. Get into some habits and onto a schedule right away. Try to get the baby to eat and sleep at similar times each day. Get yourself into a schedule, too. Take some of the uncertainty and guesswork out of the day. It’s better for the baby and much better for you. Babies get into everything. Sure they don’t do much at first, but before you can blink, they are crawling then hobbling then running and getting into just about everything. Stuff you never thought possible. Pad the table corners, cover the outlets, deadlock the doors. Gates are your friend. So is everything sensitive you can imagine. From laundry detergent to the scent in your house, everything has to be as sweet, subtle, and baby-friendly as possible. There are so many things to consider. It’s a whirlwind but it’s amazing. 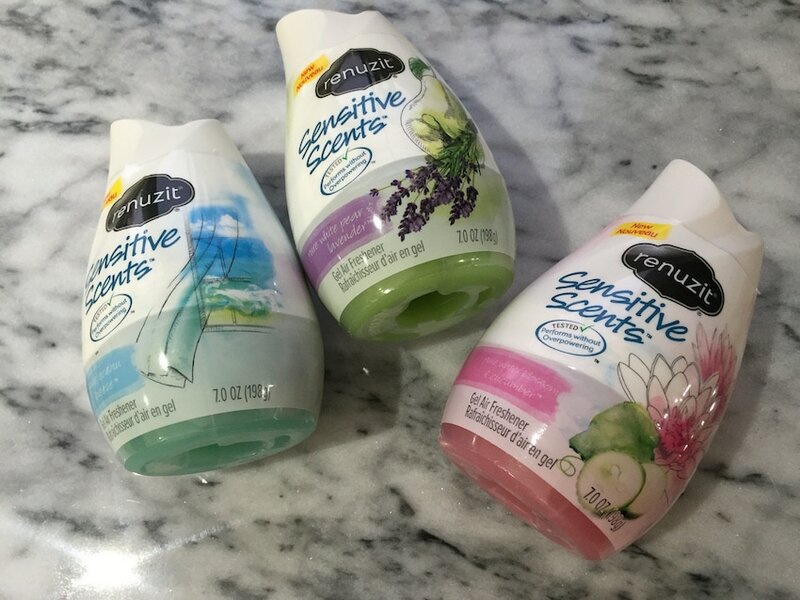 When thinking about making your house smell its best (I can’t not have some amazing smells in the house at all times), but are concerned about your new addition, Sensitive Scents TM from Renuzit® brand is your answer. 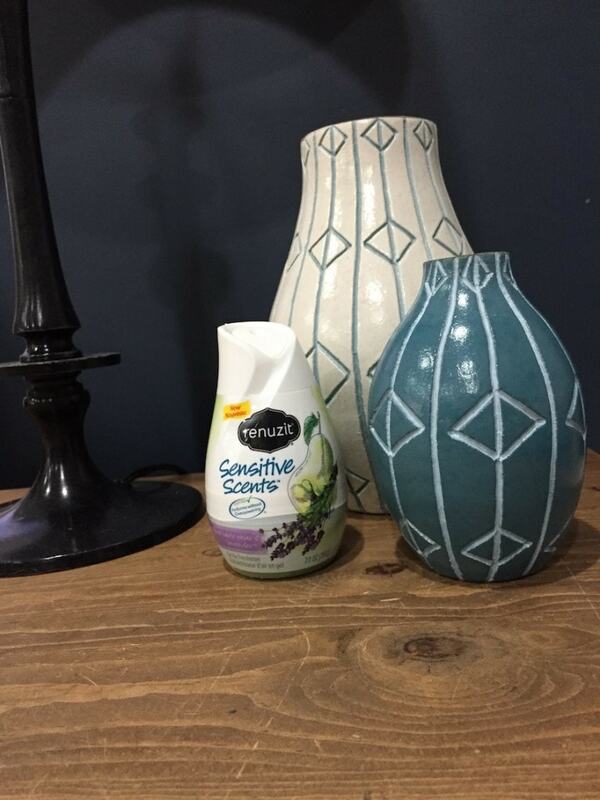 Scents TM from Renuzit® brand is the first line of air fresheners developed to perform without overpowering even sensitive noses in your home. Each product was tested with sensitive noses to confirm they deliver a long-lasting and well balanced air freshener experience without overpowering. I put these everywhere in my house. Literally. They are amazing. I just can’t get enough of them and it feels better knowing that it’s made for even sensitive noses. There are even multiple ways you can enjoy the product, which I just love. I’m an options girl! Adjustable Cones are great for small spaces; provide continuous air freshening for 30 days; made with 98% biodegradable gel; adjust the cone to get the level of fragrance that is perfect for you. 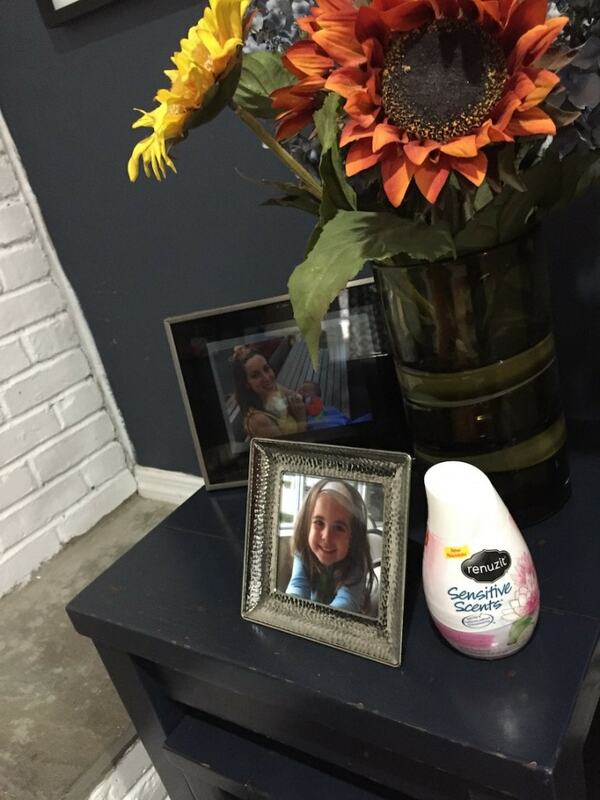 **Glade® is a registered trademark of S.C. Johnson & Son, Inc. Airwick® is a registered trademark of Reckitt Benckiser Inc.
Seriously…Sensitive ScentsTM brand performs without overpowering. It’s perfect for this special time in your life. Available in stores now!! 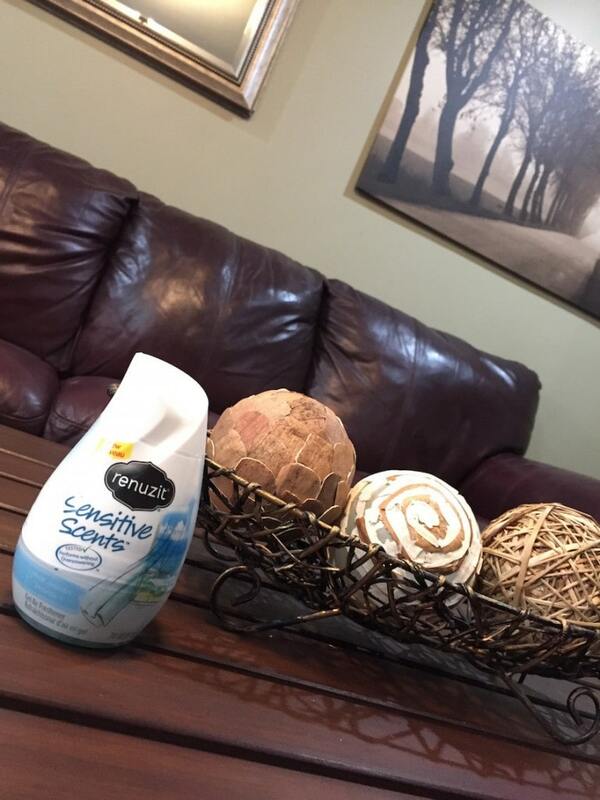 This is a sponsored post in partnership with CafeMom and Renuzit® brand. All opinions, suggestions, and commiseration is my own. I am passed this point of my life, the boy do I remember how tired I was when the baby was first born. Everything you say here is absolutely true get as much ready as you can before that baby comes home because when that baby comes home are you going to want to do is sleep. I am with you. A baby monitor is so worth the splurge, I worry so much and having that peace of mind does wonders for the exhausted feeling you mentioned! I am thankful that I got so many of these done before we brought our first baby home because I was so tired 24 hours a day I was almost useless. lol We love these scents in our house – great for sensitive adult noses too! 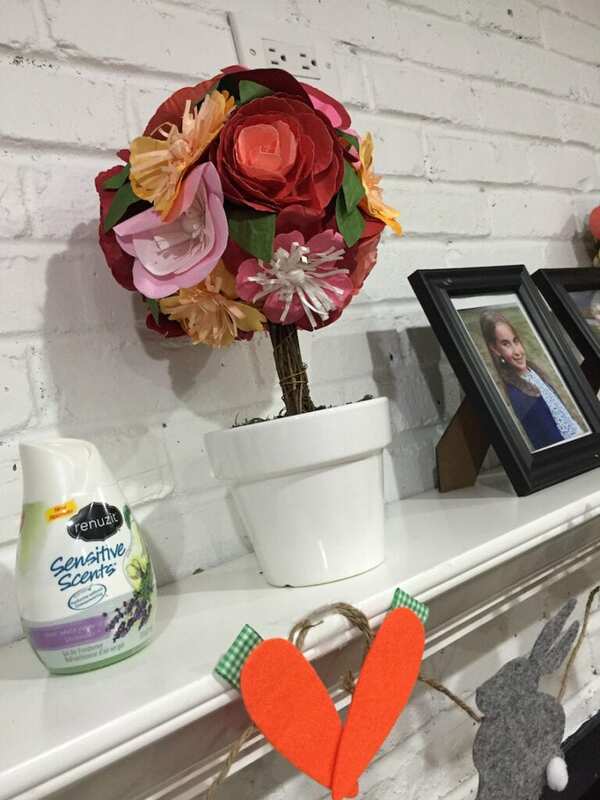 There is so much to do when you are getting the house ready for a new baby. It is important to have a good baby monitor. I like the ones with a camera. I remember when we were getting ready to bring a new baby home. It is a good idea to get the nursery ready before the baby comes. If you have a pet, make sure to pay attention to the pet when you come home too. This helps the baby and the dog bond right from the start!